Do you own a Himalayan salt lamp, have you cooked with Himalayan salt or have you used skincare products made with this powerful, pink crystal? If you asked us this question years ago, the answer would have been no. But, ever since discovering the line of So Well Himalayan products, we’ve been hooked on the numerous healing benefits of their beautiful Fair Trade and well-made Himalayan healing salt lamps, household and personal care items. Himalayan crystal salt lamps do more than illuminate; they heal our bodies in numerous ways. From cleaning and deodorizing the indoor air and neutralizing electromagnetic fields (EMF’s) to removing airborne particles such as dust, smoke, mold, pet dander, pollen and odors, Himalayan salt lamps are perfect for anyone who suffers from allergies or asthma. When heated, these Himalayan salt lamps remove positive ions and expel negative ions into the air; aiding in improved energy levels. Himalayan salt contains 84 different minerals including the two main types of fluoride naturally found on Earth: calcium fluoride, and sodium fluoride; both essential to human health. This makes the salt wonderful for cooking and baking, as a supplement and also on your skin, your largest organ. The Himalayan Salt Lamps from So Well are derived from pristine sea beds in the Himalayan mountains and mined from the 200 million-year-old salt from caves in India. Did You Know? The So Well Himalayan Salt lamps are hand-carved from dried seabeds that are 250 million years old. Great news! 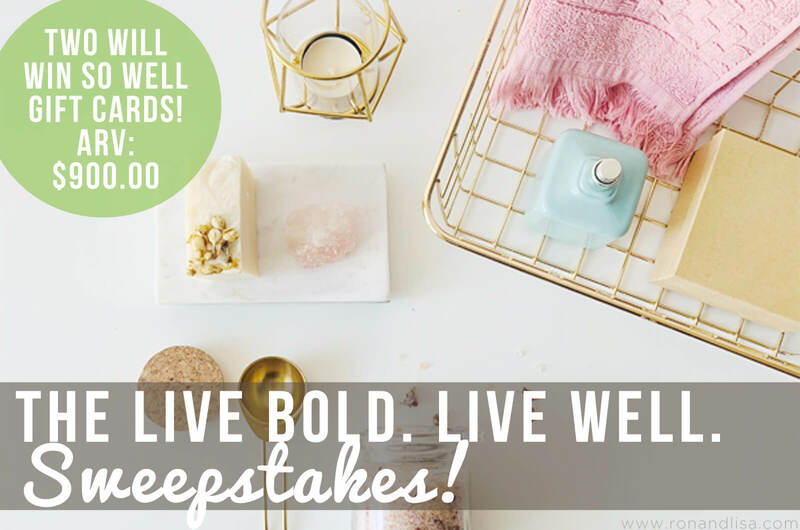 We’re offering you TWO CHANCES to win So Well gift cards. One Grand Prize Winner Will Receive a $600.00 gift card and One First Prize Winner Will Receive a $300.00 gift card. Total Retail Value Over $900.00. Click below to enter (and share with a friend or loved one who could benefit from the healing properties of Himalayan salt). Sweepstakes open to residents of the United States age 18 or over. Ends 5/10/19. Purifies the air: Negative ions become dust collectors, attaching themselves to positively charged dust particles and cigarette smoke, purifying the circulating indoor air from dust, bacteria, and pollutants. Boosts mood: The negative ions can increase levels of the mood-boosting chemical, serotonin, to reduce stress and relieve depression; improve eczema; and aid in sleeping, detoxification and pain relief. Improves energy: Radiation is filled with positive ions, which are atoms stripped of their electrons. Positive ions are often responsible for lack of immune system; feeling blah or under the weather. Positive ions also increase stress and irritability. The positive ions in electromagnetic radiation also are known to cause fatigue. Absorbs airborne particles: The atomic structure of crystal salt contains more negative, chloride ions than positive, sodium ions which result in the emission of negative ions during the natural ionization process. Removes odors: Negatively charged ions help cleanse the air because they attach themselves to contaminates and allergens, which are positively charged. The larger particles formed by this interaction then fall to the ground, and out of the air we’re breathing. Reduces allergy & asthma symptoms: Salt lamps naturally draw moisture from the air; subsequently releasing negative ions in the air that neutralize bacteria, mold, pollen, and other allergens, making them great for allergy and asthma sufferers. Himalayan salt can also be added to inhalers. Provides relief from cough: After the heating of the Himalayan lamp, the hygroscopic cycle is activated which charges the molecules. Dry salt therapy, known as speleotherapy or halotherapy, has been soothing inflammation and boosting respiratory health since the 1800’s when a Polish physician discovered that breathing pure, ionized air in salt mines cured respiratory conditions. Since then people have sought out the healing “salt caves” of Eastern Europe for their antibacterial, antimicrobial, and antifungal benefits. Improves negative ions: The atomic structure of crystal salt contains more negative chloride ions than positive sodium ions; this results in the emission of negative ions during the natural ionization process. Increases cilial activity: A heated lamp removes positive ions and expels negative ions which helps improve and increase cilial activity. Balances electromagnetic fields: Radiation is filled with positive ions, which are atoms stripped of their electrons. Crystal salt, in its neutral state, exhibits an exact frequency oscillation value of 8-10 cycles per second. The lit salt lamp, therefore, reinforces the earth and our body’s natural resonant frequency, which helps combat the more harmful higher EMFs (100-160Hz) from computers, cell phones, and other electronic devices. Salt vibrates at a similar rate as our bodies, so it helps protect us against the EMF (electromagnetic radiation). Because of this similar vibration, placing a Himalayan Salt near you can instill a sense of wellness and security within ourselves to help us face the challenges of everyday life. The So Well USB lamps are great for balancing EMF from computers, color therapy, and metaphysical purposes. All of the So Well Himalayan Salt lamps have an option to plug into a USB port directly into your laptop or desktop to protect you while you work by creating negative ions. Why Choose So Well Himalayan Salt Products? So Well offers 100% natural, homeopathic, safe, organic, natural, eco-friendly, earth-friendly, vegan, Fair Trade and made in the USA line of Himalayan salt products. Every purchase goes to bettering the lives of their artisans and craftsmen. The So Well Himalayan salt, harvested from ancient, pollution-free sea beds, is rich in minerals and considered by many to be the purest salt on earth. 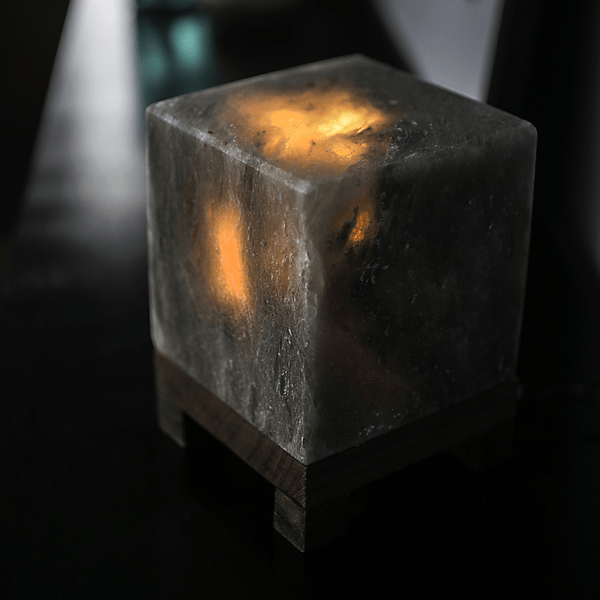 Their specially-selected artisan partners overseas hand-sculpt magnificent salt crystals to create beautiful lamps that are works of art and natural ionizers. So Well hand-blends their salt with all natural and organic ingredients into exclusive formulas that work. Their unique “living products” are freshly handcrafted in small batches and energetically enhanced. So Well’s manufacturing is sustainable from formulation to recyclable and reusable packaging. The products So Well carries from associate manufacturers are specifically chosen and meet their standards for quality, service, and ecological and social conscience. So Well is dedicated to fair trade and they use suppliers devoted to fair trade and sustainability. The fact that the So Well Himalayan crystal salt lamps are Fair Trade ensures the workers who mine the 200 million-year-old salt from caves in India are paid fair wages. Fair Trade ensures that producers receive fair market prices, are free from labor abuses and use sustainable growing and production methods. In a world where corporate profits rule many crafters and farmers are often exploited, creating a cycle of poverty and environmental degradation. Fair Trade can break that cycle, building better lives, stronger communities, and a healthier environment. So Well partners with artisan communities, promoting social justice, small business, and local non-profit organizations. So Well imports all of their salt through a long-term direct relationship that creates mutual accountability. Their partners observe Fair Trade principles including 25% greater than average wages and human rights such as rest breaks, chilled water, protective clothing, safe working environments, and medical care. You can be assured that their talented artisans are respected and cared for as valuable members of the So Well team. The So Well artisan salt crystal lamps, organic beauty products, healthy gourmet items, and green home aids are holistic lifestyle essentials that work synergistically to promote vibrant health. The people at So Well are just as passionate about doing good to all as they are about looking and feeling good. Their products also promote vibrant communities and a healthy environment; something we can all be passionate about. So Well is a member of PETA (People for the Ethical Treatment of Animals), Business Friends, Campaign for Safe Cosmetics, Leaping Bunny, Truth in Labeling, Green America, and a Chicago Fair Trade Member. Quality is crucial when purchasing salt products, as not all salt crystals are of the same class. For instance, most salt lamps on the market consist of substandard crystal salts. Lighter in color than ours, these appear “washed out” and lack the prized, intense hues of dark red and flaming orange. The same is true of the So Well bath and edible salts. Deeper, more vibrant colors, found only in top quality salts, provide more essential minerals and healthy negative ions so important for improved energy and health. So Well’s obsession with quality extends to every ingredient in their gourmet, animal companion, personal care products and more. I’d love the beautiful salt lamps. I like the Himalayan salt lamp. I have several Himalayan Salt Lamps and love them! The Himalayan salt lamp is my favorite! I love the Himalayan Bath Salts. I love the Himalayan salt lamp. Healthy and so fine to see the way the diffused pink light makes the room so inviting. AM INTRIGUED BY THE HIMALAYAN SALT LAMP ANGEL LAMP. WOULD BE A VERY MEANINGFUL GIFT. Haven’t tried yet-excited to try! My favorite So Well product is the Amber XL and Large Himalayan Salt Lamp Set. I haven’t tried any of your products yet! But I do have a regular Himalayan salt lamp that I love. I have it in my bedroom between my bed and the outside wall where all the Smart meters are!! 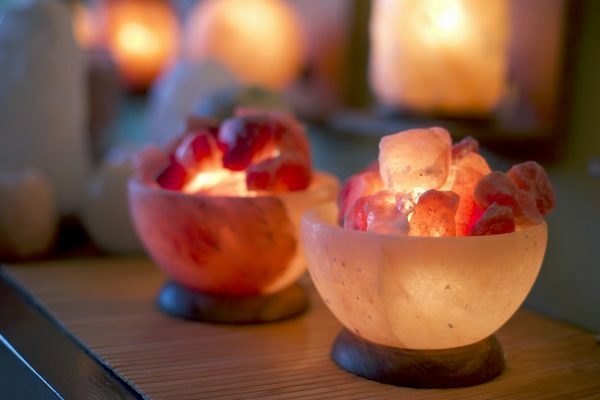 My favorite So Well product is the Himalayan Salt Lamp Serenity Bowl. Planet Beach Spa at Legacy Village has a bowl with salt cubes that sits in the restful waiting area and is calming giving off that orange-amber glow and negative ions. Collagen boosting serum is great! I always thought your Himalayan salt lamps were so cool looking! You have a lot of super neat things but like so many others here, the Himalayan Salt Lamps would look really nice on our coffee table at night. I think I would most like to try your Collagen Boosting Serum! I love the salt lamps, beautiful! I love salt lamps. Not only are they beautiful, but they clean the air and are natural! The one that looks like an angel is my favorite! I think I like the Himalayan Salt Lamps the most! HAVEN’T TRIED ANY YET BUT AM LOOKING FORWARD TO LEANING MORE ABOUT TH PRODUCTS. Himalayan salt lamps. I have two…. The collagen booster sounds amazing! The Collagen Boosting Serum would be my favorite. 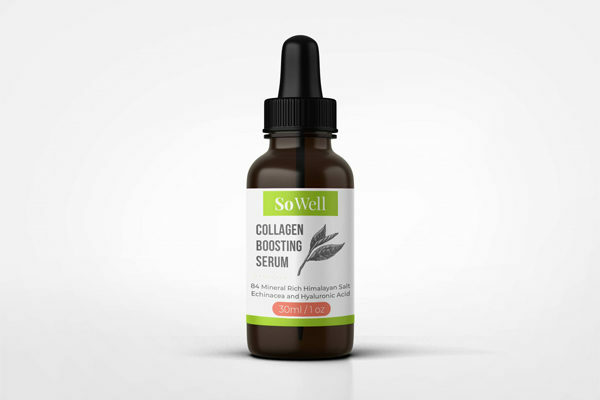 Collagen Boosting Serum sounds great! I haven’t tried these products yet but would love to now after reading about them! I love the Himalaya salt lamps. They look so nice on the table in my living room.